Buy De Wit children's hand fork: <ul><strong><li>Junior replica of De Wit’s premium-quality adult hand fork</li><li>Forged carbon steel with a solid ash handle</li><li>Lifetime guarantee</li></strong></ul><br>There's no better way to get kids interested in gardening than with proper tools of their own. 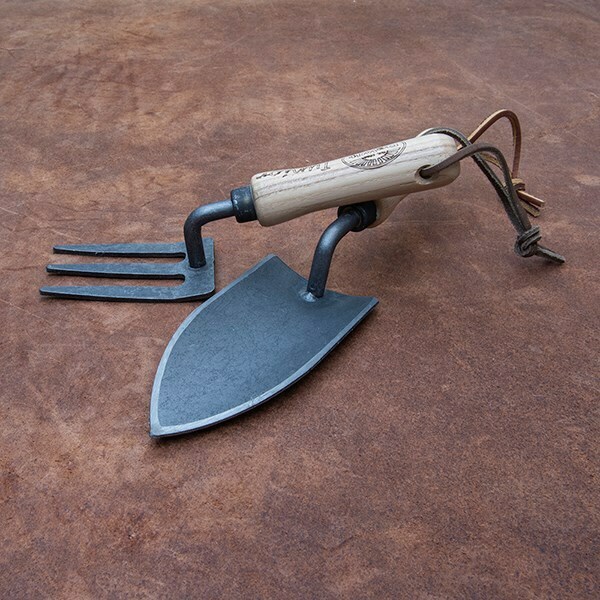 This beautifully crafted De Wit junior hand fork is a fully functioning replica of the adult version, perfectly proportioned for smaller hands.<br><br>Forged from strong carbon steel in the traditional way, the fork has three flat tines that make it easy for little hands to dig into and turn the soil.<br><br>Due to its sharpness and strength, the fork should not be regarded as a toy and MUST be used with adult supervision.<br><br>The fork is fitted with a smooth, chunky ash handle for secure, comfortable handling. Suitable for children 8 years and above.<br><br>Measurements:<br>Head W5cm x L7.5cm<br>Total length 20cm<br><br>Please note: only the hand fork is supplied. The other tools in the photograph are available to purchase separately. There's no better way to get kids interested in gardening than with proper tools of their own. This beautifully crafted De Wit junior hand fork is a fully functioning replica of the adult version, perfectly proportioned for smaller hands. 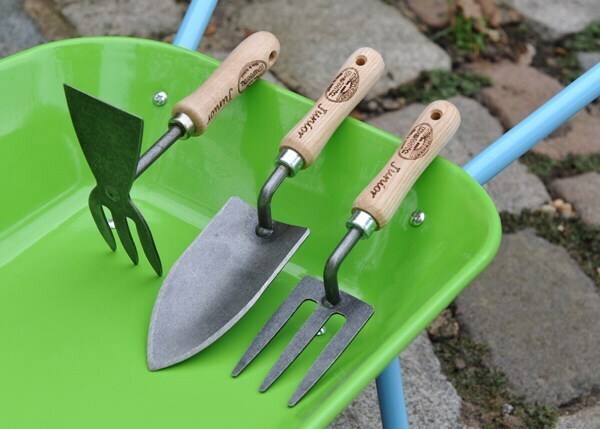 Forged from strong carbon steel in the traditional way, the fork has three flat tines that make it easy for little hands to dig into and turn the soil. Due to its sharpness and strength, the fork should not be regarded as a toy and MUST be used with adult supervision. The fork is fitted with a smooth, chunky ash handle for secure, comfortable handling. Suitable for children 8 years and above. Please note: only the hand fork is supplied. The other tools in the photograph are available to purchase separately.